Product code: J23 Categories: Andrew Martin, Geometric, Hessian, Luxury Fabric, Reds, Yellows. Akbar by Andrew Martin is a striking Moroccan inspired print. 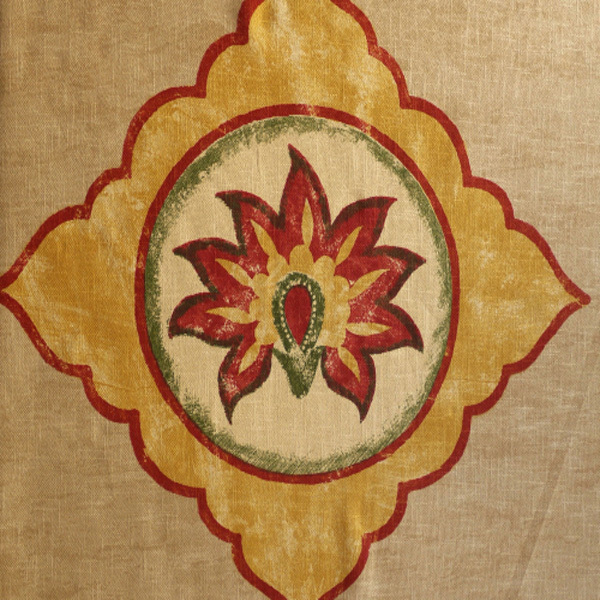 A beige fabric with vibrant motifs in red, yellow and green. The fabric has the appearance of a slubbed effect. The sizeable motifs are spaced out on the fabric giving an unusually large pattern repeat of 1 metre 90 centimetres. This is a 100% cotton fabric that can be used for a range of home interiors projects, including light upholstery. This fabric could be used to really brighten an office. 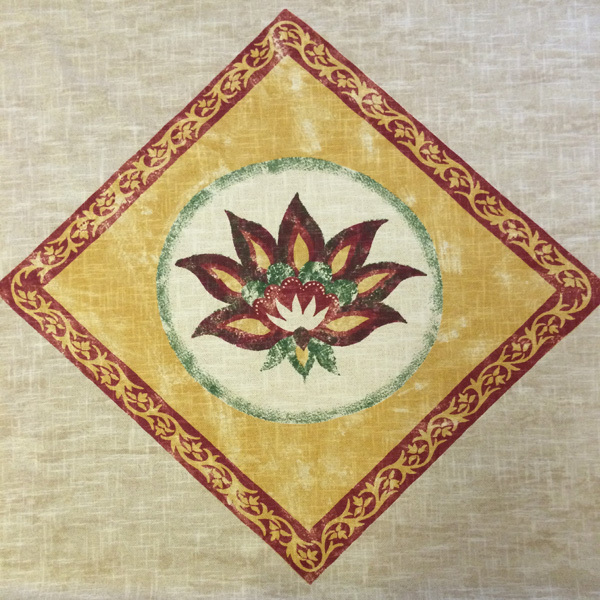 With a sizeable 50 x 50 cm pattern this fabric would suit a large footstool or large statement cushions.